Have you ever asked your friend their opinion before deciding to buy something? Ever searched for reviews about a particular product online? A movie perhaps? Everyday, people are doing research before they make major purchases so that they can feel satisfied they’re spending their money right. This presents an opportunity for affiliates to make money by matching these prospective buyers to what they really need. This creates a win-win situation for all involved as the customer is happy with their purchase and you’re happy to make some commissions in the process. Just as there are lots of money being spent every single day, there are lots of money to be made and making money doing reviews is a great way to match people with their needs and earn an income. The process for making money doing reviews is very simple and I do this all the time and even make money with reviews I’ve done over 3 years ago. I’ll outline the process in this article so that you can do the same. First let’s look at some of the reasons why people go online to search for reviews and we will see why this opportunity exists. As we can see from the list, many products do not work as they say they do and people want to know beforehand so they can decide whether to make the purchase or to buy something else. Just look at the following short video about those As Seen on Tv type products and you’ll see why its a good idea to do research before ordering stuff and how this puts you in a position to make money with product reviews. It all comes down to making a buying decision which is why we’re able to make money with product reviews because in a lot of situations the consumer is ready to make a purchase. The simplest way to get paid for your reviews is to partner with the company that sells the product. In some cases this might be a third party website. This process is called affiliate marketing and many products have affiliate programs that pay you a commission for every sale that you refer. All you need to do is find an affiliate program for the product you’re going to write a review about and sign up to promote it. You’ll get a special link that tracks your sales so that you get commissions whenever someone makes a purchase. Sites like Amazon have a lot of products and people know and trust Amazon so you can make a lot of money reviewing and referring their products. You can sign up for their affiliate program here. Other sites include Commission Junction, Shareasale and Linkshare just to name a few and there are also independent affiliate programs ie the product is sold from its own website and has its own dedicated affiliate program. Now that we know WHY you should write reviews to make money and HOW you get paid, lets look at how to actually write your reviews so that people will read them and take your recommendation. Before writing your review, there are certain things to keep in mind if you want to write a review that people will read and trust. A review that people read and take your word for will lead to sales and commissions which is the goal you want to achieve. Remember that your job is not to sell the product. The product owner does that on his website. You’re supposed to help the consumer make a buying decision by giving him a thorough, unbiased review of the product before sending him to the product website if he decided to buy the product. Make your reviews more credible by purchasing or getting your hands on the product. This way you can talk from experience. If you can’t buy the product, you can look for user reviews online in forums and even on Amazon or in blog comments about the product and use these for guidance. Never lie or try to hide something about the product. State your honest experiences – if the product has flaws let people know. In a case where you can’t recommend a product, still review it. This can boost your credibility and even though you’re not able to make money off this product, there may be other products you can recommend and this can boost your conversions. In the end you’ll save someone a bit of disappointment and make more money in the process. Keep these 4 tips in mind and you shouldn’t have any problems making money with your reviews. The best place to post your review would be on a website or blog on its own domain. However, you may not have a website or domain and want to start somewhere else. You can start a free blog on Blogger or write articles on content sites like Hubpages and Squidoo. Or you could do video reviews and post them to Youtube. However, I would recommend starting a blog by getting a domain (website address) and hosting. To save some money, Wealthy Affiliate provides free web hosting and free websites and you can also get more make money online training there too. Making money through your review depends greatly on whether someone reads your review or not. Your review could simply be an article but I usually go further by including pictures, video and other things that catch the eye and keep the reader interested. You’ll have more freedom to do what you like if you use your own blog or website but places like Hubpages allow you to do a great job with your articles and reviews. This is very important as its the first thing the consumer will read on the page. The title should tell the reader what the page is about. It also helps to have a title that matches what the reader will search on Google in order to find your page. See the section below on getting people to read your reviews. This is where you tell people what the review is all about and introduce the product and what its is supposed to do as well as other facts about the product. Reviews are mainly about experience and opinion so try to confine factual information about the product to your intro. Start by stating the aim of the product and tell from experience or reference (if you haven’t tried the product yourself) whether the product works as advertised. How well does the product work? You can mention your results and if you can provide video or photo proof of yourself using the product then that adds a lot of credibility to your review. If you can find a video on Youtube of someone using the product, you can embed it in your review as well. Answer any questions that you yourself may have had and you can find other questions other people have about the product by searching on forums to see what were the main concerns for consumers. This can either be a part of your main review but stating the pros and cons of a product in its own section allows the reader to easily scan your review to sum up what the product is like. Sometimes all it takes to make a buying decision is to see the pros and the cons of a particular product. At the end of your review, your aim is to point the reader to where they can get the product. State whether you recommend the product or not and why. This is a great time to put a benefit ie. saves time, helps save money, makes a task easier etc. Add your affiliate link to the website where they can buy the product and in a case where you don’t recommend the product, you can add a link to a review that you wrote about a similar product. So you’ve finished writing your reviews and now you want people to come read them. This is important because if people don’t read your reviews, they won’t be able to click on your links and you won’t make money. In a lot of cases there isn’t much competition for some product reviews because not many people are reviewing them even though there is high demand. A good start is to get your title correct. Using the “product name” + “review” is a great way to get exposure in search engines like Google since you want your review title to match the consumer’s keyword search. So lets say the consumer types in “Slap chop review”; you would want your review to show up on the first page of Google for this search as it increases your chance of getting your review read. You can do some simple keyword research first to figure out what people are looking for. One simple way is to start typing the product name into Google search. Google has a cool feature called auto-complete where they try to guess your search by giving you some suggestions in a drop down view. You will usually see the most popular searches and suggestions of what you can use for your title. In the above screenshot, you can see that people are searching for “android tablet reviews” and some other searches that suggest they’re doing research on the product. You can creatively use any of these in your title to rank for your keyword on the Google search engine and attract people to your review. Another tip is to use the exact model number if the product has one. You may not get as many searches with the model number but this type of search increases your chance of getting a sale. Use this in combination with one of the other keywords from the Google suggestions. 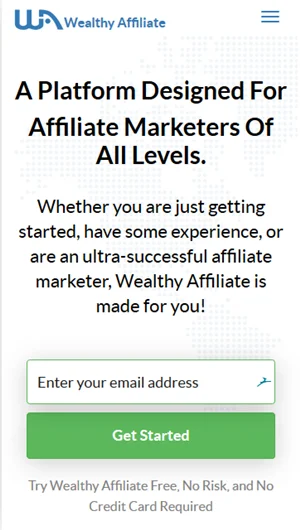 To learn how to effectively do search engine optimization and the tonnes of other ways to get people to visit your reviews, I would recommend getting a free membership at Wealthy Affiliate where they effectively teach this stuff in much greater detail. If you do it the right way I’m sure it will pay off.